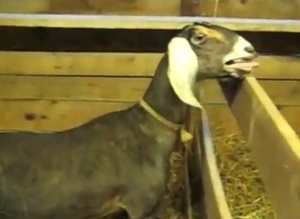 “Goats Yelling Like Humans” just crossed the 10 million view mark so to celebrate we pulled together a sequel. Meanwhile, there’s plenty of life in the old meme yet. Posted in Misc and tagged screaming, sequel at 8:42 am on March 4, 2013 by Broadsheet.